I’ll be the first to admit it: meal prep is the worst. Ok maybe that’s a slight exaggeration, it’s not the worst but it is certainly not my favorite! Whether it’s for healthy eating or simply convenience, meal prep and meal planning are two GREAT ways to keep your grocery budget in check and save time in the long run. 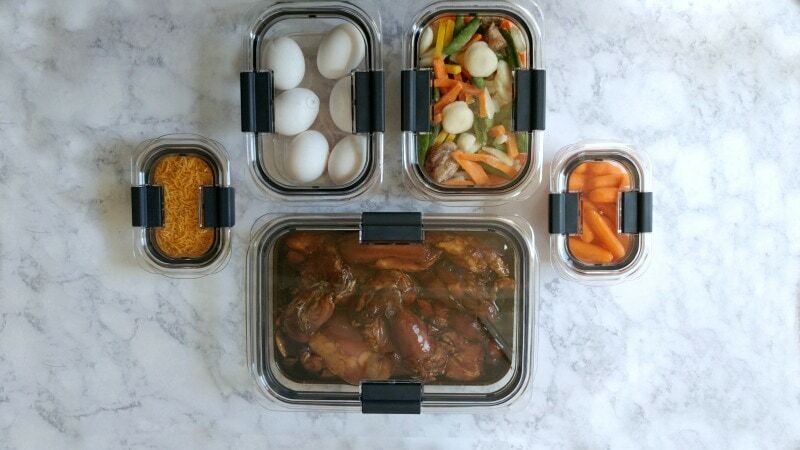 Meal prep can seem daunting, tedious and just generally no one’s favorite thing to do. 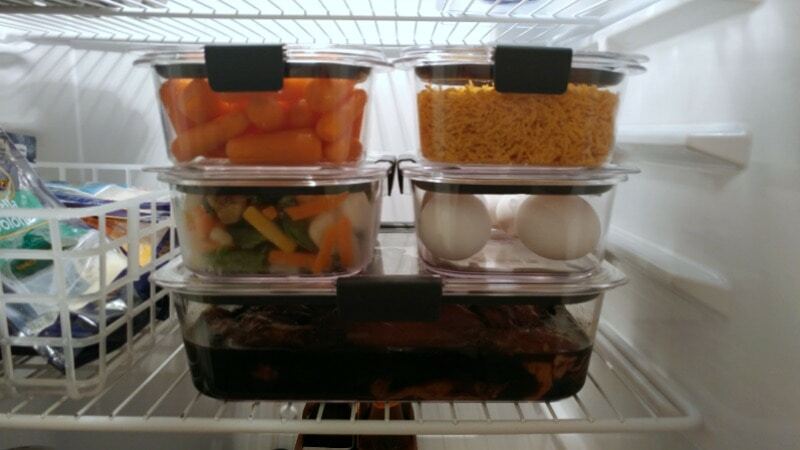 However, with a few simple tips, you can be meal prepping like some kind of wizard in no time! First of all let me say, I’m no meal prep guru. I ride on the struggle bus just like everyone else. Some weeks are better than others, but I have made it my goal to improve my meal planning and meal prep skills so I thought I would share with you some things that are working for me. This sounds like a no-brainer but even I have attempted to “wing it” while meal planning and prepping and let me just say…don’t. Take a few extra minutes before you go shopping, come up with a menu, a plan, write out all the ingredients you need and cross reference with what you have on hand already. This extra step will save you a lot of time in the long run, and of course will save you from missing key ingredients, or accidentally doubling up on something perishable. Having a plan will also allow you to organize your time accordingly. For example, if you are doing hard boiled eggs, but forget about them until the end, now you have to wait to boil the water, cook the eggs, let them cool, chop, etc. If you plan right, they can be cooking while you’re doing other tasks. As best you can, work through like tasks together. Do you have two recipes that call for diced green pepper? Do them all at once. Less back and forth means more efficient work. Chop all your raw chicken at the same time and portion into bowls for further prep, that way you’re only washing utensils once. By batching like tasks (chopping all veggies at once, portioning into containers at the same time, etc) you work more efficiently. Twice the meals without twice the work. By doubling recipes you are again maximizing time. If you don’t want to eat the same thing twice as often, simply put them in the freezer for a future week. You’ll still reap the benefit of doubling your recipe whether you use it now or later. If you don’t have enough time to dedicate to cooking and portioning whole meals, consider doing just the “prep” part. You can store pre-chopped fruit and veggies for meals and snacks, freeze pre-chopped raw meats (as long as they were not previously frozen) with or without marinades and even create your own snack boxes. Small containers can become easily grabbable on the go snacks when you add things like a yogurt container, cubed cheese, nuts, lunch meat slices or fruit. The right tools can make ALL the difference when doing meal prep. 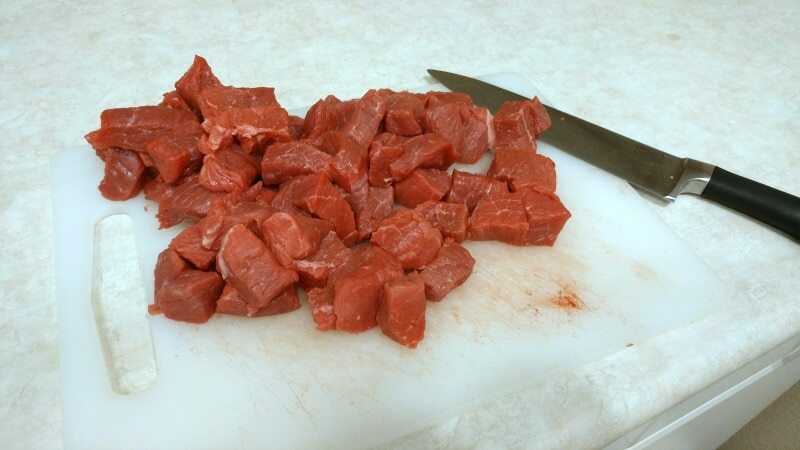 I like to use an electric carving knife when cutting my raw meats. I used this trick when prepping 40 pounds of raw chicken, and I use it often when freezer cooking. This speeds the process along immensely and minimizes fatigue. Whip out your food processor for all your dicing needs. Have multiple plastic cutting boards handy so there’s no cross-contamination. Oh, and toss those old margarine tubs you’re using for meal prep containers. Invest in a quality set of food storage containers, ideally ones that are dishwasher, microwave and freezer safe. Spoiler alert: those margarine tubs are not. 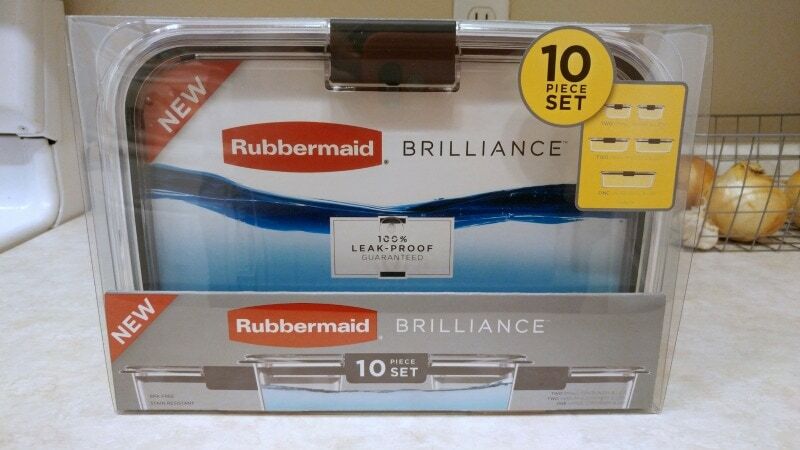 I love these Rubbermaid BRILLIANCE containers because they are leak-proof (guaranteed!) and won’t dump out in your bag when you toss your lunch in there. Ask me how many times my husband has had to wash his tote bag after work because sauce or dressing spilled out all over his stuff. It’s happened far too many times to count with our old containers! They are crystal clear which means no mystery tubs in your fridge or freezer. They stack perfectly so there’s no wasted space and possibly my favorite part about them is that they don’t stain. EVER! And unlike your recycled whipped topping tubs, they are BPA free which means no gross chemicals leeching into your food when you pop them in the microwave. I love the Rubbermaid BRILLIANCE collection so much, I’m giving away a 10-piece set to one lucky reader (thanks Rubbermaid)! Just look for the entry form below and enter for a chance to win your very own set. 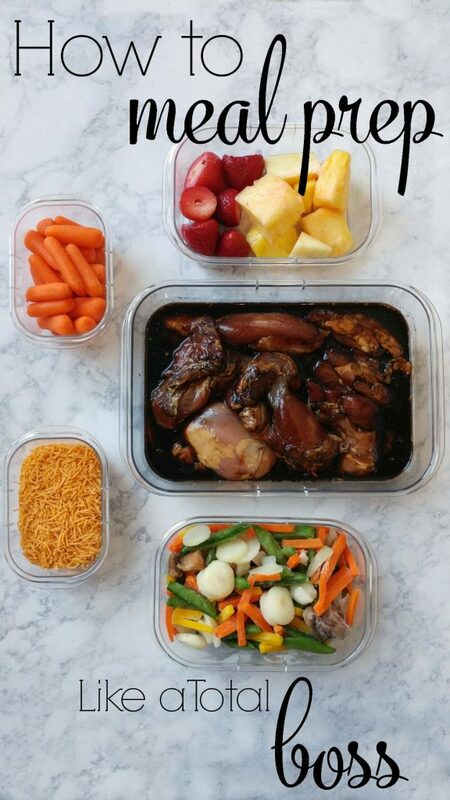 You’ll be a meal prep wizard in no time! I like the Double recipes tip. You get two night of dinner and only have to cook it once! Using the right meal prep tools is so important because dull knives can cut really bad! I have a great set of knives with a sharpener that really works great! I love to double recipes and batch like tasks! i love having my meals prepped in advance. It makes eating healthy so much easier. Hmm, I double or triple batches of the foods that I know my family loves (ie. french toast or pancakes) so we can enjoy the dish again. I menu plan in advance but I don’t prep for everything in advance. I have never been good at prepping meals or making them! I do love these Rubbermaid storage containers, though, and can think of so many uses for them. I like to prep ahead also. It makes it so much easier! I’m the worst at meal prep/planning. I need to get better st it. But I do love these containers. Maybe they’ll motivate me! Personally, I love using food containers. They help save space in my fridge, get for left overs and help with portion control. These snap and seal and great!! I so love the double recipe tip that would save me so much time later in the week. 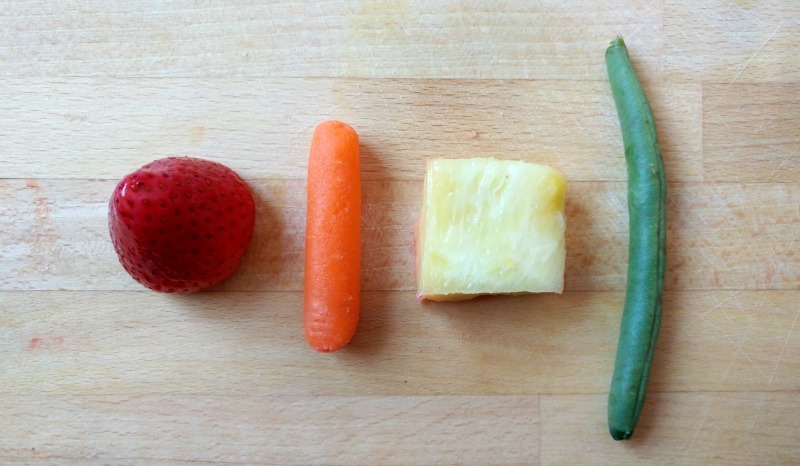 I love to wash and cut all the fruits and veggies we bring home. It makes it so much easier when it comes to meal prepping & snacking in general. I like to cut up my fresh veggies in the cooking size I need and freeze them in individual bags. Then I just pop them out when its time to cook. I liked your tip about prep ingredients and/or whole meals. I do this almost every weekend. It is a time saver. I love rubbermaid! they make the best quality food bowls. Im a food prepper myself and it saves so much time. Makes life so easy in the morning when trying to get out the door quickly with the kids in the morning. Have a food scale or measuring cups so your meals are more exact and you don’t go over or under what your suppose to have . Great tips! I especially like doubling recipes because having them to grab from the freezer has saved me many times! I liked the double the recipes. 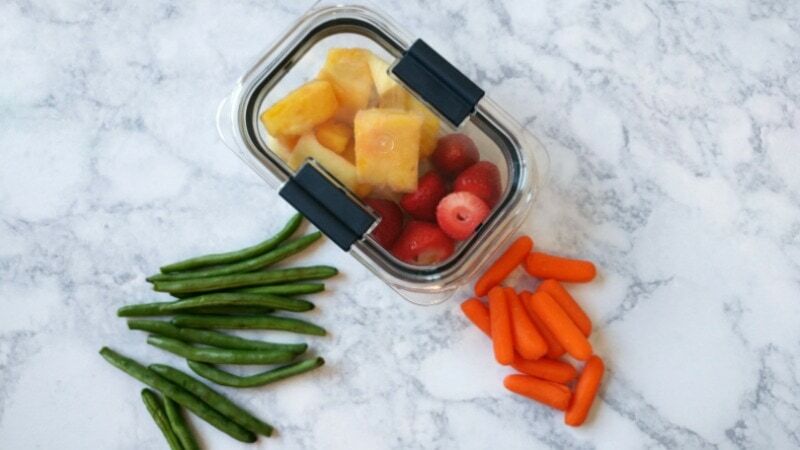 Makes it easy for quick lunches and dinner.. When I cook I leave components separate so they can be reused to new meals. For example when I make spaghetti I cook an entire bag of noodles even though we don’t need that much and then save the leftovers for breakfast with eggs and bacon. There are some really great tips here. I love the “Doubling Recipes” tip as it saves so much time. I like grocery shopping for all my week day meals on the weekend. This way I don’t have to go to the store after work. 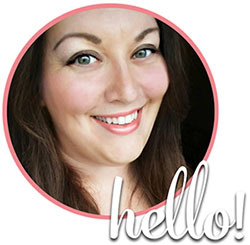 I like your tip – I like to use an electric carving knife when cutting my raw meats. It makes a job much easier. Make extra of things you can re-use later in the week: cooked rice, grilled chicken breast, steamed broccoli. My favorite meal planning tip is plan meals for the week before shopping that way you only have to make one trip! I like to prep the night before. Thanks for the chance to win such an amazing giveaway. 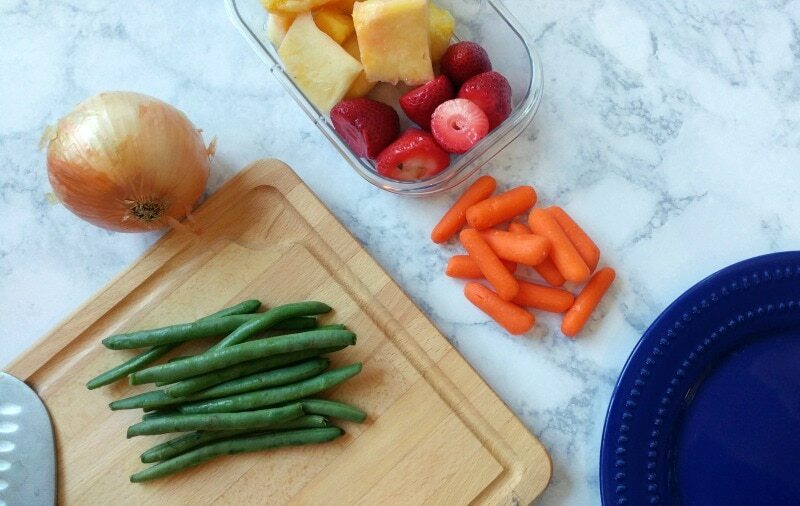 Plan your meals ahead while at the grocery store so you have all the ingredients you need. I try and plan my meals around what’s on sale at my local grocer for the week – it really stretches my budget.